With the creation of Bombardier’s Global 8000 comes the ability to fly the world nonstop. This ultra-long range business jet features a three zone cabin, industry leading range, and truly global reach. With a maximum range of 7,900nm and top speed of Mach 0.925, the possibilities aboard the Global 8000 are virtually endless. Able to accomplish long hauls around the world, the 102-foot-long jet is capable of taking off at a distance of 5,800 feet. Newly designed high speed transonic wings create and enhance steep approach capabilities and short field performance on runways. A high swept T-tail, high swept wings with winglets, and 24 large windows help this jet stand apart from its predecessors. 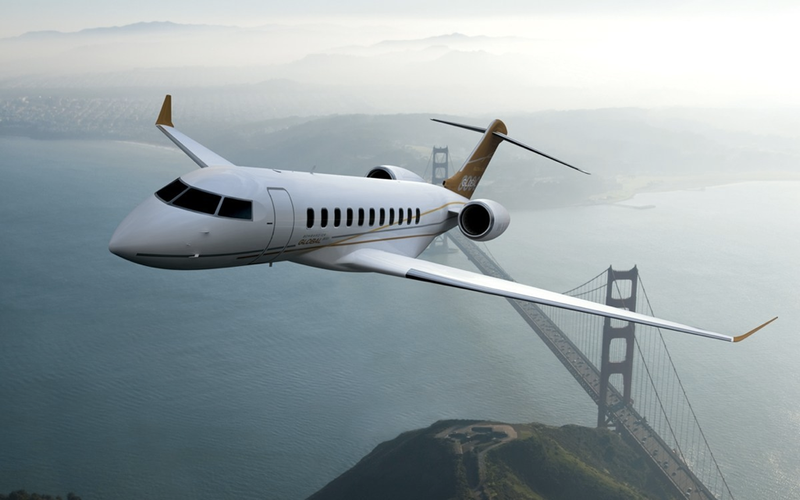 The Global 8000 is powered by two 16,500 pound thrust GE Aviation Passport Engines that are side mounted at the rear of the aircraft and specially designed for this business jet. At a total cabin volume of 2,236 cubic feet, the Global 8000 features a smaller cabin than that of the Global 7000. However, sizable windows, a three zone cabin design, and 195 cubic feet of baggage compartment volume make up for this. Standard configuration allows 13 passengers to be seated comfortably while two to four crew members have a dedicated crew rest area near the entry. Conference grouping, height adjustable conference tables, and executive style seats create an ample space for business within the cabin. Passengers will be able to video conference, stream HD content, and download material seamlessly, increasing productivity during long flights. When it’s time to relax, a private suite with a three place divan and entertainment system ensure peace and privacy. HD content, live games, and aviation’s fastest internet connection allow passengers to make sure they never miss a beat. With both a forward and aft lavatory, stand up shower, and the freedom of personalization in each living space, passengers will feel right at home in the Global 8000. Luxury continues into the avionics suite, where a Global Vision flight deck features four large display screens along with an advanced cabin management system. 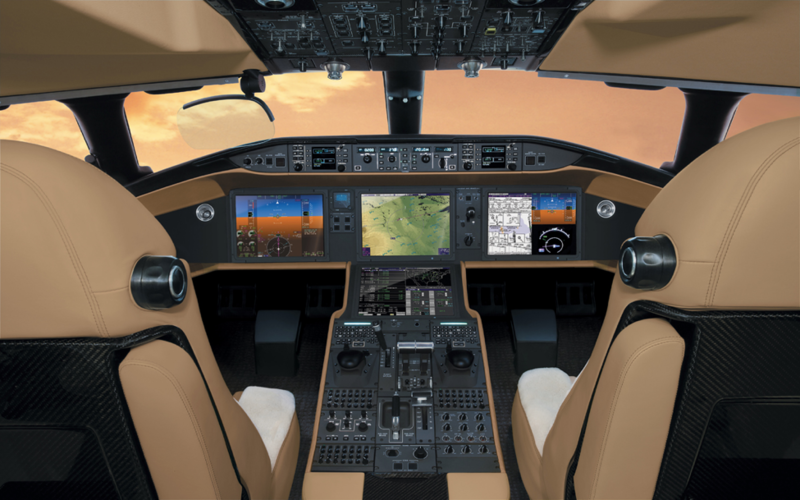 Head up display, enhanced vision system and fly-by-wire technology are all featured in the industry’s largest cockpit. 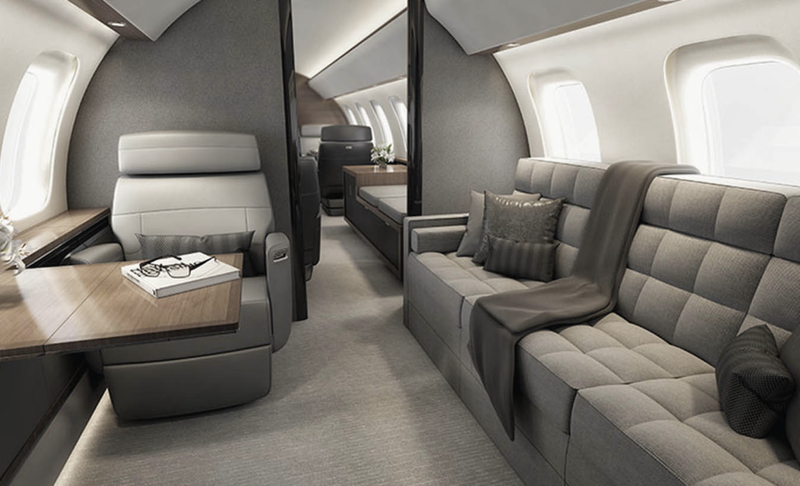 Luxurious comfort, great fuel efficiency, and exceptional long distance range are just some of the features within the furthest flying business jet ever created. With the Global 8000, more routes and destinations are available than ever before. Fly Los Angeles to Dubai, Sydney to Sao Paulo, or Tokyo to San Juan in record time. Priced at around $65 million, aviation enthusiasts will be surely be impressed with the Global 8000.